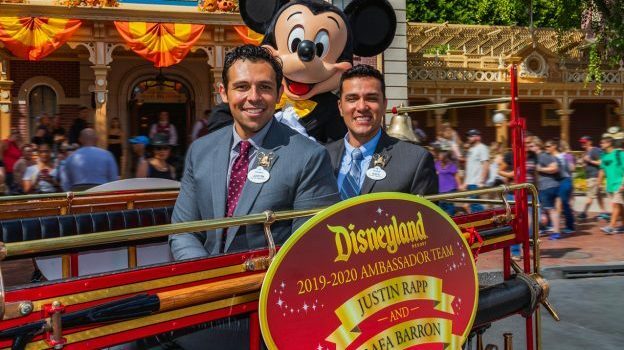 Disneyland welcomed the two newest Disney Ambassadors this past week: Justin Rapp and Rafa Barron. They will represent the Disneyland Resort and its 30,000 cast members during a two-year term. Along with this representation comes the task of “taking the magic of the Resort into the community by acting as emissaries of goodwill” as described by Disney. 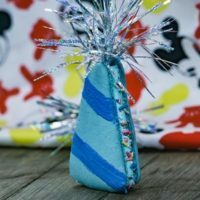 This tradition was started by Walt Disney himself back in 1965 and has carried over to every Disney Park in the world. Let’s take a step back in history to see how Walt Disney created this tradition, learn how the selection process works, and how the ambassador role brings Disney magic to the local areas around the parks. 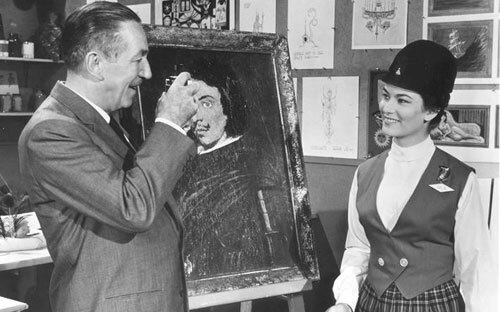 Walt Disney with the first Disneyland ambassador, Julie Reihm. 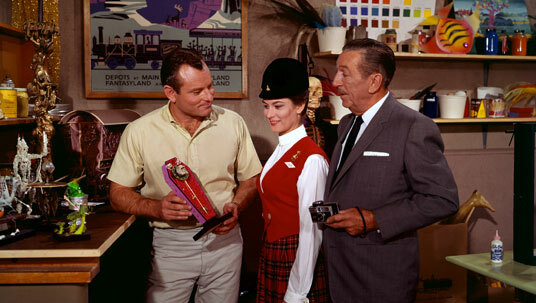 Walt Disney began the Ambassador Program in 1965. At the time, Walt’s schedule was overwhelmed with requests for his time and personal appearances. It simply was too much for one man alone to handle so to help solve this problem he decided that he needed to appointment someone to serve as the official spokesperson of all Disneyland cast members to promote the Disneyland business. That first spokesperson that Walt Disney appointed was Julie Reihm, the first Disneyland Ambassador. Julie Reihm on the Wonderful World of Color episode “The Disneyland Tenth Anniversary Show” with Walt Disney. Julie Reihm’s two years as Disneyland ambassador took her all over the world as she often would accept honors and awards on behalf of Walt Disney, to events celebrating the release of Mary Poppins, escorting VIPS, and included an appearance on the Wonderful World of Color episode “The Disneyland Tenth Anniversary Show. To be eligible to apply to become a Disney Ambassador you need to be employed for at least six months by the company. 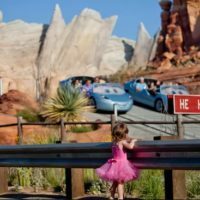 The first step in the application process is an essay response to the question, “Why do you think you would be a good Disney Ambassador?” Simple enough, right? Well, this is just the first round of steps! The second step, if you make it through the first selection process, is a four week observation period. Every shift worked after this point is treated like a test or trial run for ambassadorship. Managers observe actions with guests and fellow cast members, take notes, and give feedback. This is a high pressure part of the process and definitely takes someone with a high level of commitment to this goal! To make the test even more challenging, it is short and long answer- not multiple choice. The passing grade for this test needs to be at 75% or higher. After an applicant makes it through all these steps, their application along with their test scores, observation notes, and essay response is sent to the head office of the park or store they are employed through. This is where the final decision is made as they choose from all the different applicants that made it this far. Definitely not an easy process! Justin Rapp and Rafa Barron with Mickey and Minnie Mouse. They foster Walt Disney’s original vision by hosting elected officials and business leaders at our parks and are active community partners through visits to hospitals, participation in VoluntEAR projects and frequent presentations in support of our community initiatives. They also serve a primary role in cast member recognition celebrations. They also conduct media interviews, often at a rate of nearly 300 a year! That is sure to keep anyone busy. 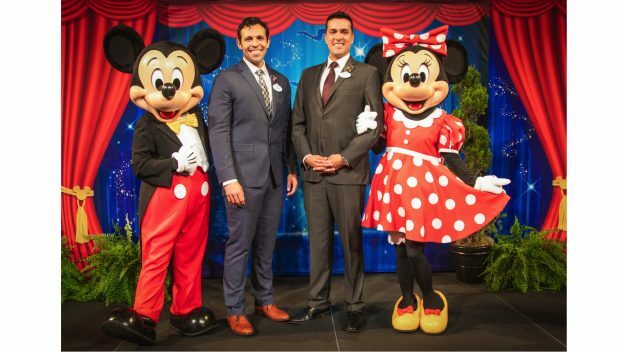 The 2019-2020 Disneyland Ambassadors, Justin Rapp and Rafa Barron, have a busy term ahead of them as they will be the official Ambassadors during the park’s largest expansion in history: Star Wars: Galaxy’s Edge. Their full-time duities, like those that came before them, will be to represent the Disneyland Resort in the community and in park events such as hospital visits with Disney characters, promotions and cast member recognition ceremonies, hosting dignitaries and VIPS, and acting as spokespeople for the Resort. Congratulations to Justin and Rafa! We look forward to seeing you represent Disneyland the next two years! Congratulations to Justin Rapp and Rafa Barron on their appointment as Disney Ambassadors! 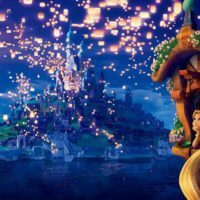 I’m certain they will fill the position as ably as Walt Disney intended and represent the Walt Disney Company in a very positive manner. Good luck to both of you as you inspire everyone with ‘Disney Magic’!